Dhalsim has always been my favorite street fighter. I’ll never forget the day I was in the arcades as a kid, and some other player challenged me to a game of SF2. He picked Ryu and naturally, I chose Dhalsim (because he was clearly the best), and proceeded to button-mash my way to a flawless victory. 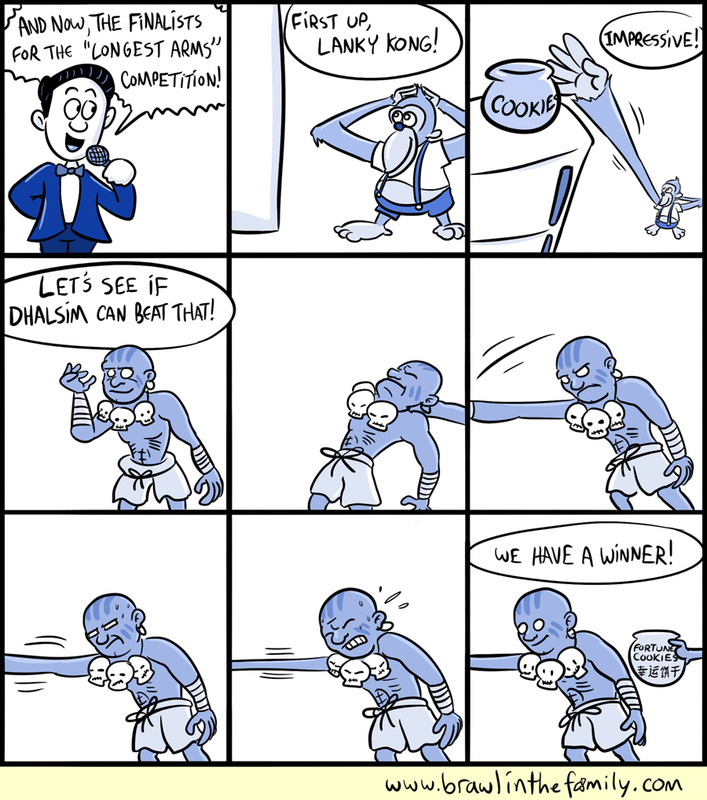 From that point on, Dhalsim’s long arms have served me well, and masked my complete lack of skill at SF. Same reason I use Donatello in the Turtles games, and Kilik in Soul Calibur. Tomorrow is my birthday! Whee! I’m not taking any time off the comic, though–gotta keep it going, gotta stay alert. Right now, the plan is to have all Kickstarter rewards done by the end of the month, so for those of you still waiting for your digital stuff, you should be receiving them shortly. I just sent out another load of books, too.